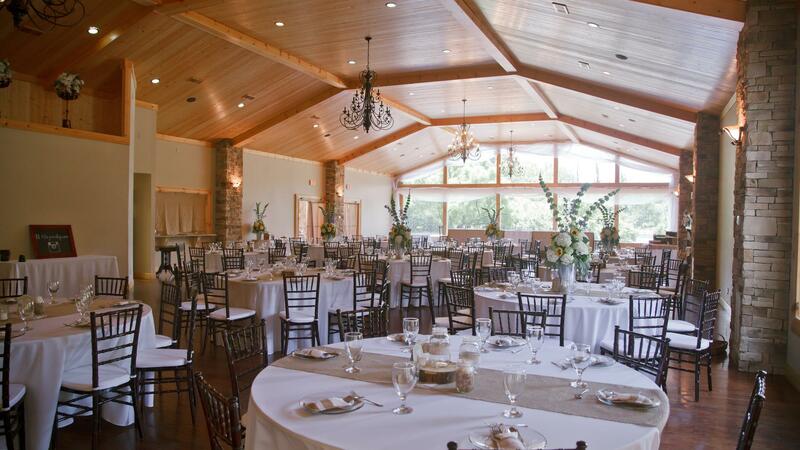 Rent Willow Creek Falls & Vineyard | Corporate Events | Wedding Locations, Event Spaces and Party Venues. Conveniently located only one hour north of Atlanta, Willow Creek Falls is an expansive outdoor wedding and special events facility nestled in the beautiful North Georgia Mountains. Willow Creek Falls & Vineyard is located in the beautiful Blue Ridge Mountains. Our landscape features three water features, a covered bridge, beautiful pond, covered porch with outdoor fireplace, and event hall. We are located one mile from down town Blue Ridge. Plan for a destination wedding and enjoy a wedding getaway. Blue Ridge offers, golfing, historic down town, the blue ridge scenic railroad, antiques shopping, great food, White water rafting, zip line adventures, horse back riding, and much more. Willow Creek Falls & Vineyard opened the doors to it's new indoor event center in May of 2013 and has quickly become one of the most requested venues in North Georgia. Willow Creek Falls offers several options to choose from for ceremony sites, accommodating many various reception styles. Enjoy the beautiful outdoor ceremony and then retreat to the scenic, yet cool, indoor facility. Dine with the breathtaking view of our waterfall overlooking the lake. Our facility allows you the option to choose from either a rustic or a formal reception, and with all of the different outdoor sites and endless mountain beauty, it truly is a bride's dream come true. Our staff is ready and eager to serve your needs whether you dream of a small and simple yet elegant occasion. Blue Ridge is filled with possibilities - and is only a short drive from either relaxation or adventure. For the ultimate relaxation experience, allow us to arrange for a day at the spa. North Georgia's premiere day spa Serenity in the Mountains was featured in Rachael Ray's magazine and has proven to be a favorite of bridal parties. The spa is conveniently located only 4 miles away from the wedding facility. If relaxing isn't your style and you seek excitement we can arrange a day of Whitewater rafting on the incredible Ocoee River. If you want to experience the river without the fear of falling in then enjoy a guided fishing trip down the Toccoa River.